Lonely Platypus wants to play, but where should he go? Should he jump with the kangaroos? Leap with the possums? Fly with the bats? Every time he tries to find out--skipping, hopping, dipping, dropping--he winds up going splat instead. 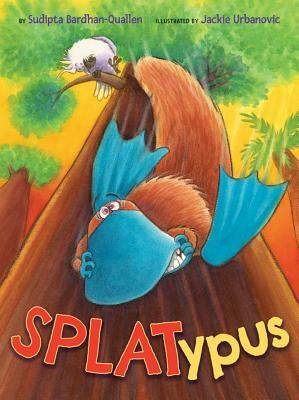 Can a SPLATypus find a place where he belongs? This rhyming, rollicking story is perfect for reading aloud.